Profitable Engineering - what for? Feel the flow and progress quickly. In the first instance, quick and efficient working is just plain fun. But, of course, there are also economic reasons for profitable engineering. 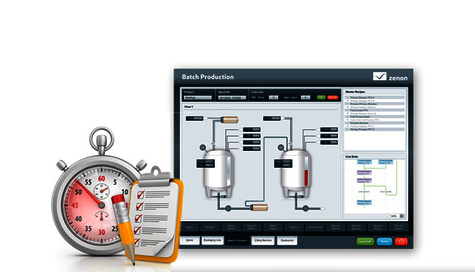 Many engineering hours are put into the creation and continuous maintenance of HMI/SCADA projects. To considerably reduce these efforts means less costs. And less costs whilst achieving an optimal result means a higher return. zenon is solely oriented in supporting you for quick engineering. You can also create complex projects more efficiently and quickly. zenon Editor, the development environment in zenon, is controlled intuitively. After a short time you are already capable of creating running projects. Just try it - you`ll see how fun it is! Get in touch with us and you can begin with a free demo version. Are you already working with zenon and would like to improve further? Our White Paper series "Efficient engineering with zenon" offers you many tricks and techniques. You can then work more efficiently with zenon and reach your goals more quickly. Download the White Paper now!